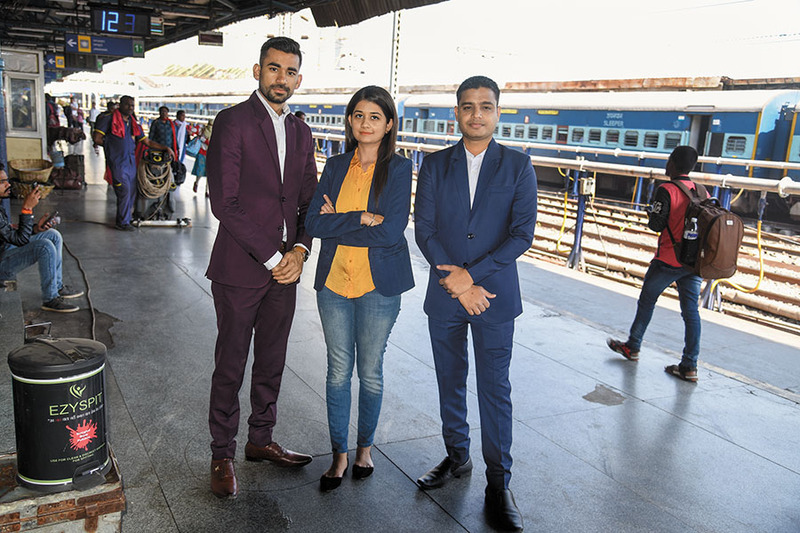 Eventuate Innovations, founded in 2016 by Ritu Malhotra, Prateek Malhotra and Pratik Harde, aims to arrest the menace of spitting in public with a portable container called EzySpit. The trio claims it can solidify and disinfect spit in 10 seconds. “We have developed something that we call a macromolecule pulp using antimicrobial polymer and fragrance, among other things. It’s biodegradable and has been certified by the United States Environmental Protection Agency,” says Malhotra. She explains the spittoons—available in three sizes; to be carried in pockets, cars, and placed in public spaces—can be used in hospitals to dispose off spit by tuberculosis (TB) and swine flu patients, as well as liquid waste. The Mumbai-based firm claims to have sold five lakh units of the containers since their launch in June 2018 through partnerships with the Nagpur and Indore municipal corporations and Fortis hospitals, among others. The consequences of public spitting can be grave; it can make people susceptible to diseases such as swine flu and TB. A 2018 report by the World Health Organization says in 2017, India accounted for 27 percent of the estimated 10 million TB cases worldwide. “Eventuate is unique as it addresses real-time needs and particularly scores in usability. It is also conscious of environmental impact and is in sync with a global agenda,” says Gayathri Vasudevan, CEO at Labournet, a social enterprise that enables sustainable livelihoods. The company’s quest to create an impact doesn’t end with EzySpit. In the pipeline is a water cooler, which is frugal in usage of water, consuming about two litres in a day. The product has been developed, and is likely to be launched and have a commercial release in the next few months.